In the summer of 2016, we were commissioned by a group of Antwerp Port landowners to study a site north of the Albertdok. 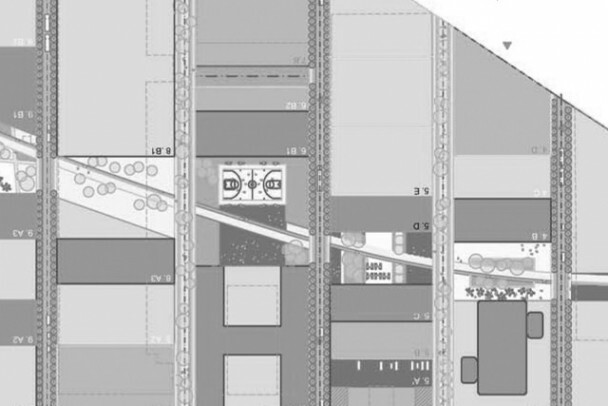 The goal of the study and following masterplan is to add urban program to the otherwise heavily industrialized site, to densify the built environment, to re-distribute communal parking in order to better the quality of the public domain, and to strengthen the overall role of the site as a supporting hub for present and future port activities. We have now delivered the first stage of the masterplan. In the forthcoming months, private and public stakeholders will proceed establishing a common ground for the further development of the plan.